This is the latest print available from Imagenic. It’s experimental – the first one I’ve had printed on aluminium. Looking at those copper-coloured reflections in the water, this picture seemed an obvious candidate for the process. 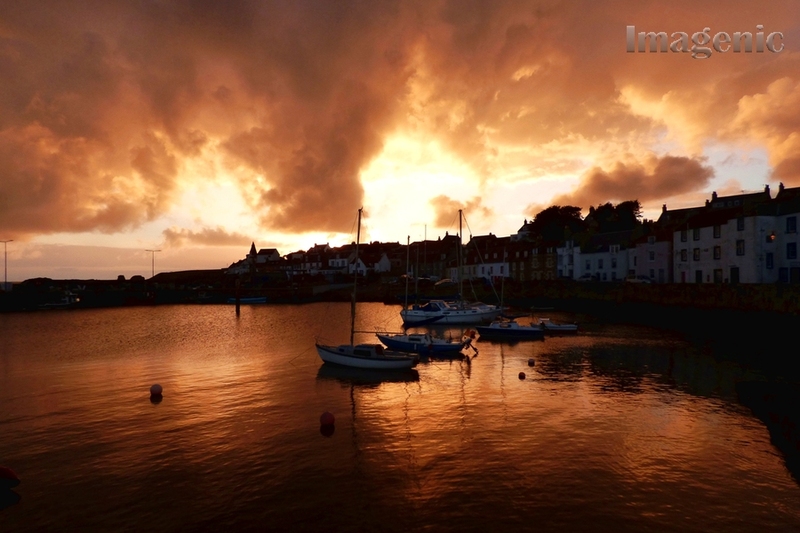 The result is a sharp and reflective image that in the right light has an impression of depth within the picture that needs to be seen to be appreciated – so if you are in the St Monans area and would like to see it, let me know. I also have some samples of canvas prints, including the St Monans Landmarks and the St Monans in the Snow panoramas featured in previous posts.